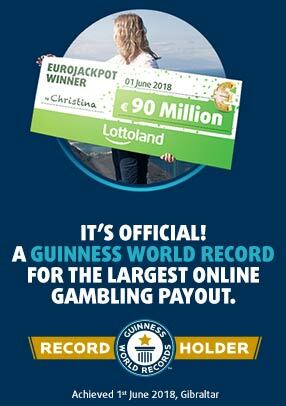 In the summer of 2018, with just her second ever Lottoland bet, 36-year-old cleaner Christina won an incredible €90 MILLION jackpot betting on the outcome of EuroJackpot. Although less well-known in Ireland, EuroJackpot is Europe’s second most popular lottery draw and takes place every Friday night in Helsinki. We’re not resting on our laurels, though. 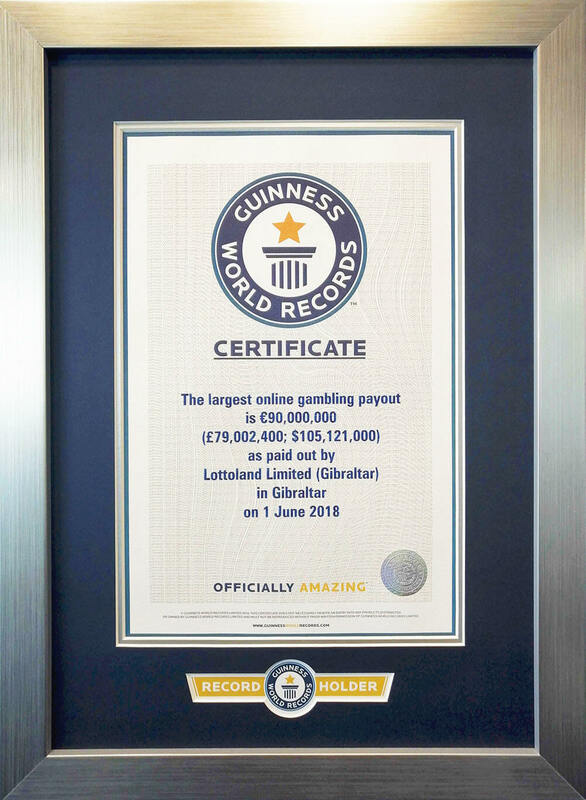 With even bigger top prizes available at Lottoland almost every day, as well as our exclusive special jackpots, we don’t think it’ll be long before we’re breaking our own record. 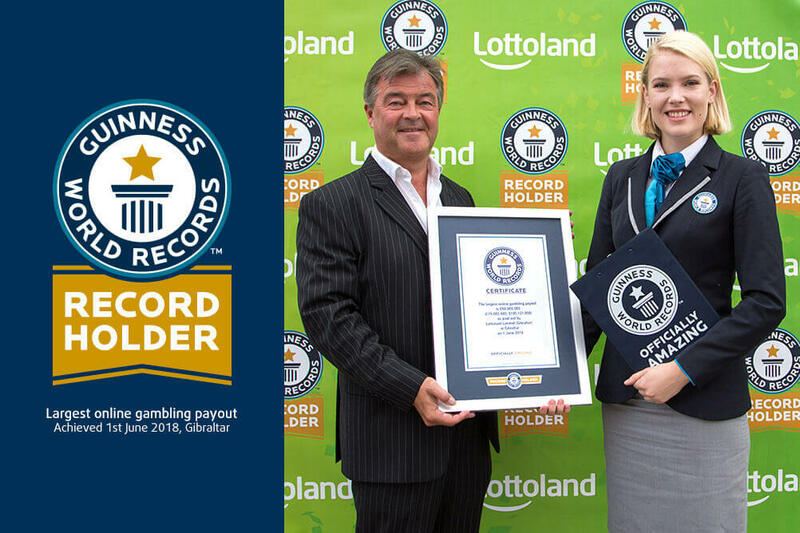 Will you be our next Guinness World Records™ title holder?